Rush 13 years ago… There was a knock at the door then just the small shuffle of feet. My chest already ached. Mom had called me on their way home to tell me what she’d done and that now she needed to go out to have some cocktails with friends. I’d be the one that would need to soothe Nan. My mom couldn’t handle the stress it involved. Or so she’d said when she called me. “Rush?­” Nan’s voice called out with a hiccup. She’d been crying. “I’m here, Nan,­” I said as I stood up from the beanbag I’d been sitting on in the corner. It was my hiding spot. In this house you needed a hiding spot. If you didn’t have one then bad things happened. Strands of Nan’s red curls stuck to her wet face. Her bottom lip quivered as she stared up at me with those sad eyes of hers. I hardly ever saw them happy. My mother only gave her attention when she needed to dress her up and show her off. The rest of the time she was ignored. Exceptby me. I did my best to make her feel wanted. “I didn’t see him. He . 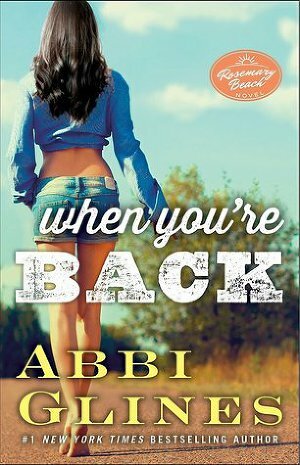 . .
A New York Times Bestseller"Every time I read one of Abbi's books, I declare it my new favorite. 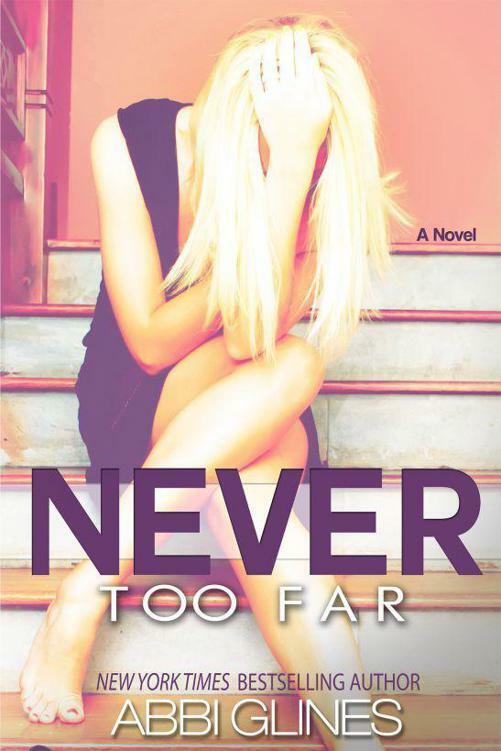 Fallen Too Far was no exception, because it now tops the list as my all-­time favorite Abbi Glines book.­" New York Times Best Selling Author COLLEEN HOOVER- HOPELESS, Slammed and Point of Retreat. "Steamy, seductive, and forbidden, Fallen Too Far swept me off my feet and made me wish I had a hot stepbrother of my own.­” New York Times Bestselling Author Tracey Garvis-­Graves- On The Island "Every time I read one of Abbi's books, I declare it my new favorite. Fallen Too Far was no exception, because it now tops the list as my all-­time favorite Abbi Glines book.­" New York Times Best Selling Author Colleen Hoover - Slammed and Point of Retreat. "Love love LOVED it! I had goosebumps when I finished. Abbi never ceases to amaze me but Fallen Too Far is absolutely that good!­" Best Selling author Elizabeth Reyes- Moreno Brothers series and 5th Street SeriesI instantly fell in love with Abbi . . . When Harlow Manning's rocker father goes on tour, he sends her to Rosemary Beach, Florida, to live with her half-­sister, Nan. The problem: Nan despises her. Harlow has to keep her head down if she wants to get through the next nine months, which seems easy enough. Until gorgeous Grant Carter walks out of Nan's room in nothing but his boxer briefs. Grant made a huge mistake getting involved with a girl with venom in her veins. He'd known about Nan's reputation, but still he couldn't resist her. Nothing makes him regret the fling more than meeting Harlow, who sends his pulse racing. Yet Harlow wants nothing to do with a guy who could fall for her wicked half-­sister even if there are no strings between Grant and Nan. Grant is desperate to redeem himself in Harlow's eyes, but did he ruin his chances before he even met her? Ей только девятнадцать. Она дочь его нового отчима. Она всё еще наивна и невинна в виду проведения последних трех лет в заботах о своей больной матери. Но для двадцатичетырехлетнего Раша Финлея она единственная вещь, когда-­либо находившаяся "вне досягаемости". Деньги его знаменитого отца, отчаянные попытки матери завоевать его любовь, и его шарм - три причины, по которым ему никогда не говорили "нет". Блэр Уинн оставила свой маленький фермерский домик в Алабаме после кончины матери, чтобы переехать в тянущийся вдоль побережья Флориды пляжный дом вместе со своим отцом и его новой женой. Она не готова к изменению своего стиля жизни, и она знает, что никогда не сможет "вписаться" в этот мир. Затем появляется её сексуальный сводный брат, с которым отец оставляет её на целое лето, пока они с женой сбегают в Париж. Раш испорчен настолько же, насколько и великолепен. К тому же он сводит её с ума. Она знает, что он какой угодно, но точно не хороший, и что он никогда не будет верен . . .
nnocence isn’t meant for the addictive…The next sultry affair in the New York Times bestselling Sea Breeze Collection by Abbi Glines is unstoppably steamy. Addiction is part of Krit Corbin’s nature—and women have always been his favorite obsession. But that’s the life of a lead singer in a band. He can have any woman he wants—anywhere, anytime. Well, except for one. Blythe Denton is used to being alone. The minister’s family who raised her never accepted her as their own, and the cruel minister’s wife made sure Blythe understood just how unworthy she was of love. So when she finally gets the chance to live by herself, Blythe takes it and moves into an apartment building with a loud upstairs neighbor who keeps throwing parties all night long. It’s during one such party when Krit opens the door to find his new neighbor standing there. Blythe wants him to turn down the music, but he convinces her to stay. She’s nothing like the women who parade in and out of his apartment, but Krit . . .
Get ready for another steamy summer fling fromthe NYT bestselling author and online sensation, Abbi Glines. Cage is back and he's hotter than ever...­After waiting for his big break, bad boy Cage York is finally called up to prove his worth in the baseball college arena. But when Cage's girlfriend, Eva, mourns the sudden loss of her father, it's not Cage's comforting arms she runs to, but those of her former fiance's twin brother, Jeremy. Torn between his baseball dream and the girl of his dreams, Cage must prove he's worthy of Eva's love, or he'll lose her to Jeremy forever. Please post a link for When I'm Gone (Mase's book)!! !